By now, you’re familiar with the causes behind eczema. Perhaps the telltale signs of itchy, dry and sensitive skin have been long-recognized symptoms in your eczema-prone family. Maybe you briefly had it as a child or recently recovered from a seemingly random flare-up that left coarse, dark skin on healed sites. Or, perchance you live with recurring eczema. Regardless of your experience with one of the most common skin diseases on the planet, knowing how to care for it properly is a big part of healing flare-ups and being able to prevent them in the future. When we’re itchy, it’s only natural to want to scratch. 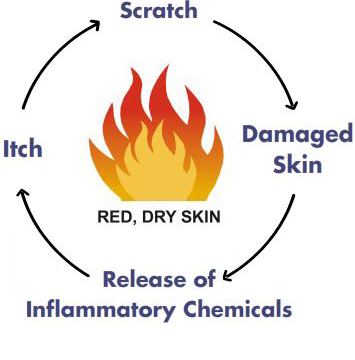 The problem is that scratching can damage your skin, releasing inflammatory chemicals that can cause infection. Don’t scratch the itchy skin. Instead, try taking an oatmeal bath for about 15 minutes in lukewarm water. Be careful not to stay in the water for too long because it’ll make your skin even drier. When it comes to showering, keep it to a maximum of once per day for 10-minute durations in lukewarm water. When bathing, don’t use soap or neutral skin cleansers. Wash your skin with pH 5.5 products like the Sebamed Anti-Dry Wash Emulsion instead. Pat yourself dry. Other good ways to relieve itch if you can’t take a bath at the precise moment of itchy annoyance include wearing soft, loose-fitting fabrics made of hypoallergenic materials, and keeping your fingernails cut short. If you do happen to scratch yourself, you’re less likely to break your skin with short nails. If you have eczema, your skincare habits should be just as important in your daily self-care routine as brushing your teeth or taking prescribed medication. It is essential. Apply creams and lotion to your skin at least once per day. Use creams and lotions that are highly moisturizing, emollient and protective, like the Sebamed Anti-Dry Hydrating Body Lotion. Make sure that the products you use have a pH of around 5.5 because this will help protect your skin against water loss. pH balanced solutions – whether cleansers or moisturizers – also strengthen your skin’s natural barrier to help guard against eczema outbreaks. And here’s an out-of-the-box idea: many people with eczema install an air humidifier to keep skin moist while indoors. Whether the factors are external or internal, it’s important to find out what’s triggering your eczema. Visit a dermatologist to get a qualified diagnosis. 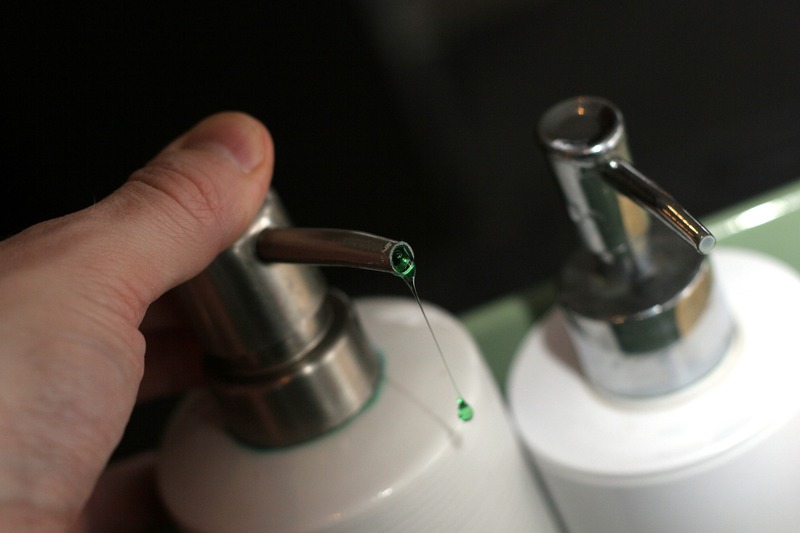 They may even be able to test you to see if you are allergic to a specific trigger. Once you find your trigger factors, do your best to avoid them. For example, if stress plays a role, try relaxation techniques (e.g. yoga or meditation). For more on caring for and treating eczema, refer to the National Eczema Association’s suggestions here.